I have to confess, that’s the only photo I have of the scrummy ginger balls…I ate them before I remembered to take a photo! That makes it sound as though I ate them all in one go and that’s not at all true, I think they actually lasted me a week in the fridge. I got into a routine of having one with a cuppa around 10am and then another after dinner in the evening once I’d cleared everything away…call it my ‘hooray, I’ve made it to the sofa at last treat’! I rarely ate more than one because they really are that filling, especially with a cup of redbush tea. The same principle applies to all my raw ball or squares recipes…chuck the ingredients in, keep blending, make sure the mixture makes a ball when you squeeze it in your hand and hey-presto. This may be why I love these so much at the moment, they’re so simple to make, fill a gap (I have a lot of gaps at the mo with my restricted diet) and I can feel 99% guilt free because there’s no nasties in there. Once all the mixture has been balled, heat the chocolate in the microwave, careful not to burn. 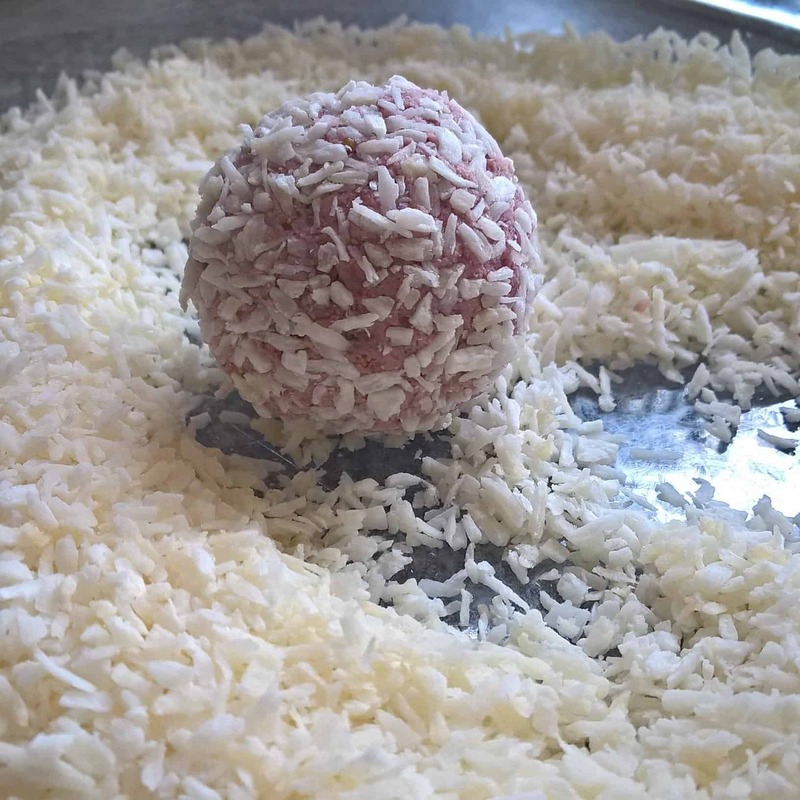 Dip the balls into the chocolate and place on a piece of baking paper or other non stick mat. I really LOVE ginger so will probably try these again but next time I'll use fresh ginger to reduce the sugar content. If you don't have buckwheat in your cupboards, plain GF will do or corn, tapicoa, rice coconut...don't be scared to play with the recipe. He he, it’s not the first time that’s happened Kate! ? …and you know what the best thing about them…QUICK! So it’s a sweet craving win-win ? Ha ha, I’m so guilty of doing that too! These look like a really great, healthy snack that still feel like a treat.